Physical characteristics: Sandhill cranes have gray bodies, necks, and heads, and a bare patch of red skin on the top of the head. Individuals can achieve heights up to 47.2 inches (120 centimeters) and generally weigh between 7.3 and 12 pounds (3.3 to 5.4 kilograms). Sandhill cranes have a wingspan of between 63 and 82.6 inches (160 to 210 centimeters). eastern Siberia. Some populations also occur in portions of the United States and Cuba. Habitat: Sandhill cranes inhabit wetland areas. In the winter it is sometimes found in grassland areas or agricultural fields as well. Diet: Sandhill cranes have a varied diet including grains, berries, insects, and rodents. 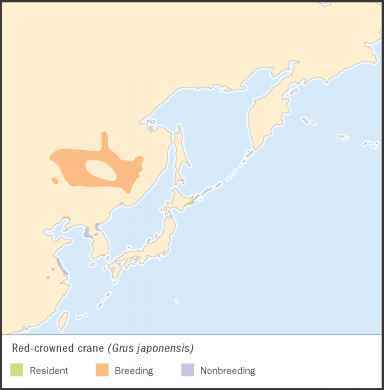 Behavior and reproduction: Some sandhill cranes are migratory while others remain in their breeding areas all year round. During the breeding season, female sandhill cranes generally lay two eggs. Both parents incubate and feed chicks after they hatch. 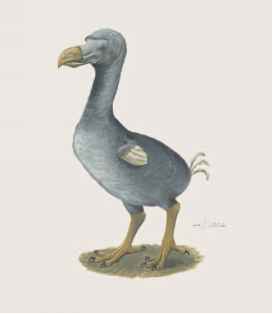 Chicks hatch after twenty-nine to thirty-two days and are able to fly by fifty to ninety days after hatching. Sandhill cranes and people: Sandhill cranes are an important part of Native American culture. 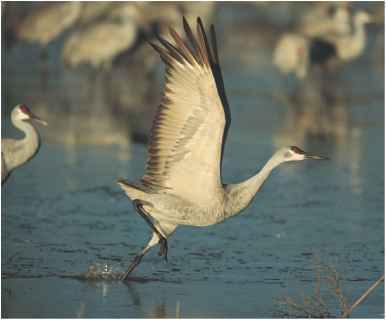 Elements of the cranes' mating dance appear in some Native American dances.